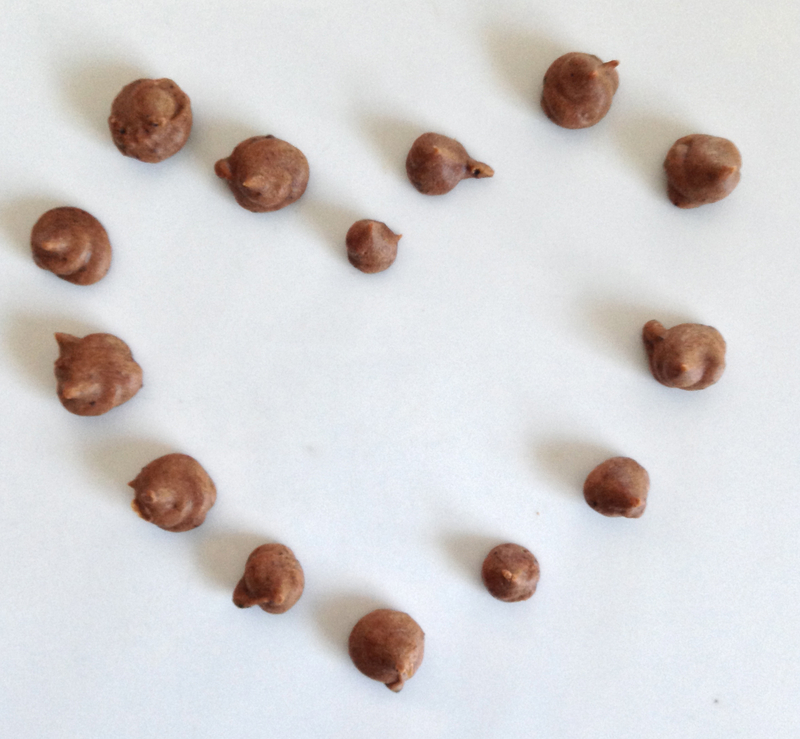 This week I’ve been experimenting with chocolate chips. After making raw cacao chocolate for over a year now, I thought I’d venture out with it’s less popular, highly unappreciated cousin – carob. And what’s not to like! – he’s naturally sweeter, great with kids and won’t make you feel all jittery (which if you’re caffeine sensitive is kind of a big deal). I know it’s going to take a lot of convincing for anyone that has ever received a carob chocolate easter egg as a child, but carob can be really very yummy. 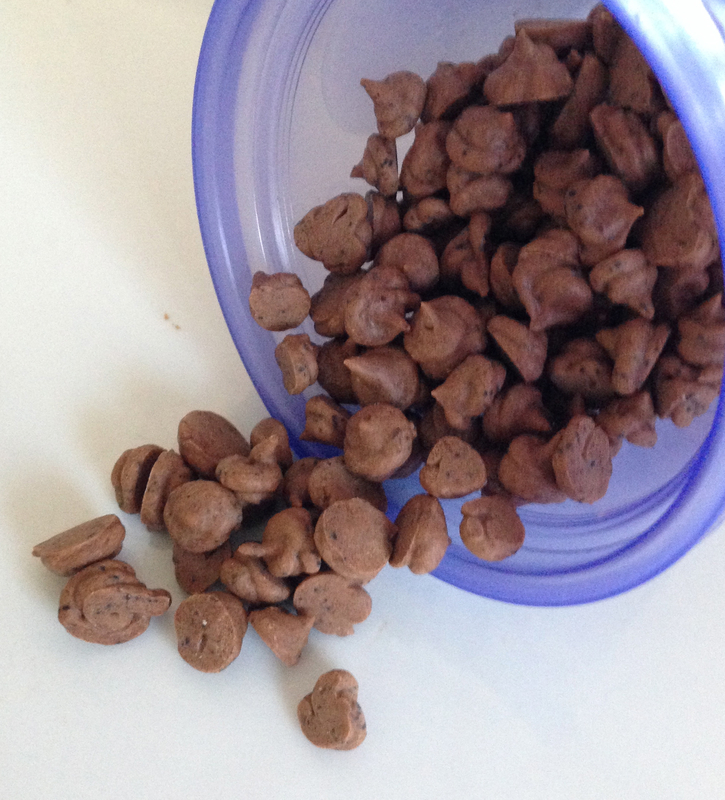 And if you can convince your kids that carob is just as good as chocolate, a far healthier alternative. Because carob doesn’t have the same bitter edge as cacao, I decided to sweeten my with carob chips with two things – cream and one teaspoon of honey. We are a pretty low sugar family, and are used to eating things that aren’t super sweet. The best thing I’d recommend to do is to taste the finished carob paste, you may find that you need more honey/maple syrup/coconut nectar. Substitute full fat coconut cream. I actually really like this recipe with coconut cream, but Frankie and Iain aren’t big fans. Grate your cacao butter before you put it in the double boiler, otherwise it will take forever! After adding the cream to the mixture it will start to solidify which makes it harder to spoon into the piping bag(although it does turn into a very nice frosting consistency) . 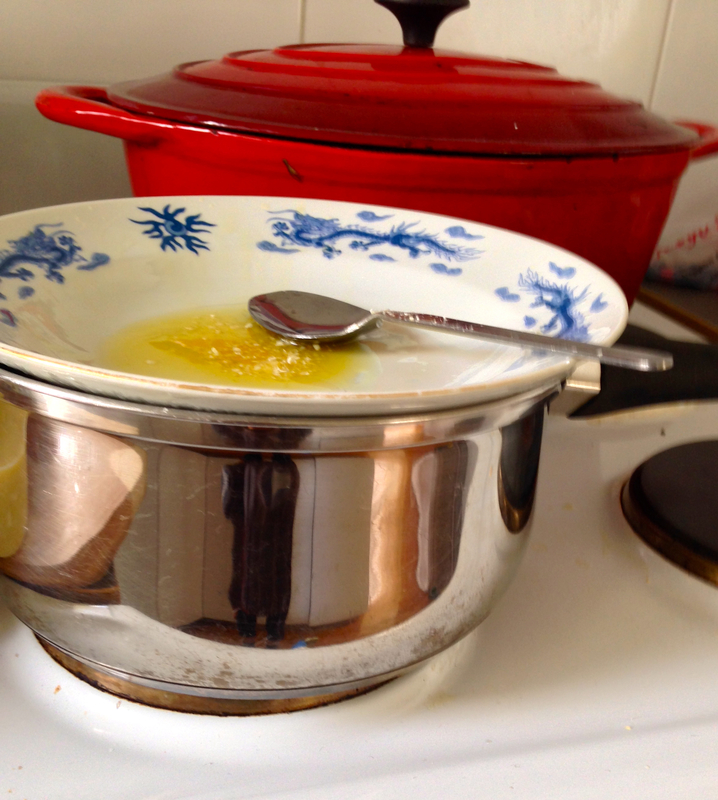 Put your bowl back on the double boiler for a second and whisk it until it becomes a smooth liquid again. Mmmm this would go great on top of some cup cakes! How do they hold up in baked goods? I’ll be honest not as well as regular chocolate chips. 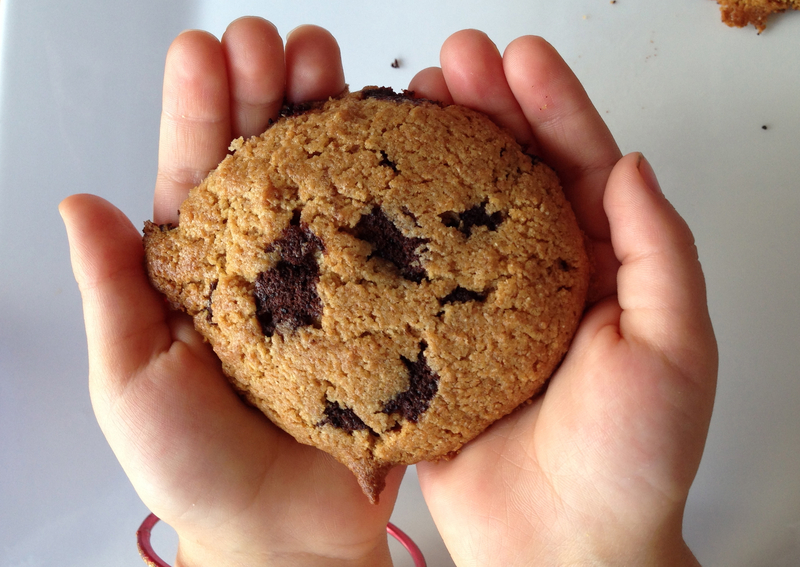 They break apart and melt quite a bit – but they still taste super delicious. Sift carob, cinnamon powder and salt into a large bowl. 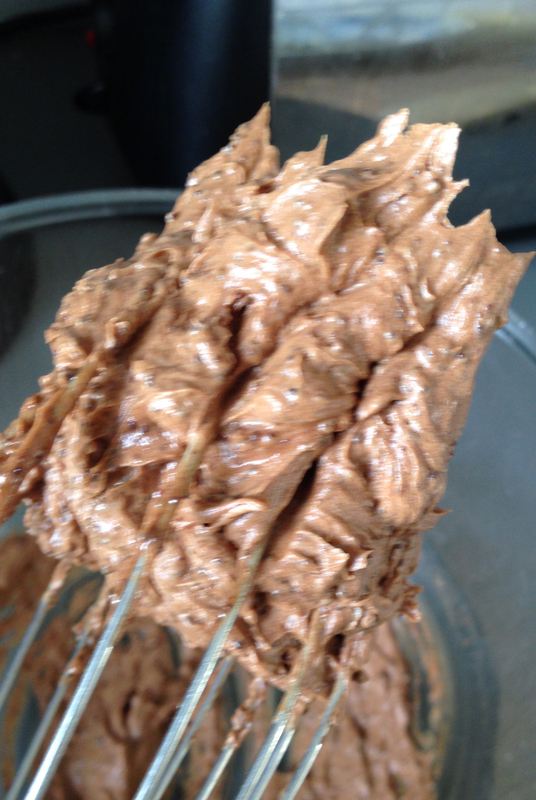 Melt cacao butter and honey on a double boiler and add to the carob, whisk until combined. Add cream and whisk, mixture will start to solidify. 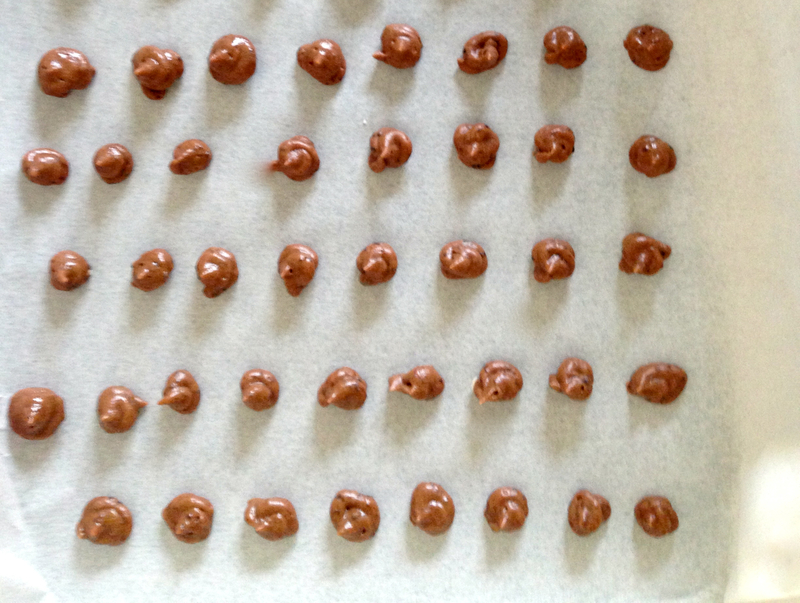 Return mixture to double boiler briefly and whisk until melted. Spoon mixture into piping bag. Pipe small circles of chocolate onto baking paper. Cover with plastic wrap and refrigerated for two hours preferably overnight. After carob chips have set, remove from baking tray and transfer into container. Store in fridge or freezer.